Dale Curry has been a staple of the New Orleans culinary scene for over twenty years. 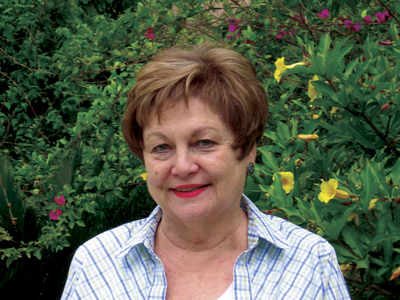 She retired in 2004 after over two decades as the food editor for the New Orleans Times-Picayune. The food columnist for New Orleans Magazine, she is an active member and former president of the Association of Food Journalists. While she has spent most of her life writing about food, New Orleans Home Cooking is Curry's first book. She uses her years of experience in the culinary arts to create an authoritative source of some of Louisiana's best personal and professional recipes. Curry hails from Memphis, Tennessee, but called New Orleans home for more than forty-one years. She graduated from the University of Mississippi with a bachelor of arts degree in journalism and in political science. She was a news reporter for the Memphis Commercial Appeal, the Atlanta Constitution, and the New Orleans States-Item. She serves as a New Orleans correspondent for the Baton-Rouge Advocate and the State-Times. Curry has two daughters and one grandson; she lives with her husband in River Ridge, Louisiana. When visitors come to New Orleans, one of the first things they think of is the food, a local fare as rich and colorful as the people who inhabit this port city. The recipes that have developed over time are a reflection of the diverse citizens who have come to call the area home. These people and their cuisine are what this city was built upon, and the taste of New Orleans truly comes alive in this tome of classic dishes.